Description of "Practical Aspect of Fire Insurance"
financial status. Fire is one such accident. cover is the Standard fire and Special perils insurance. time of insuring the property and at the time of claim. Surveyor and Loss Assessor since last sixteen years.. 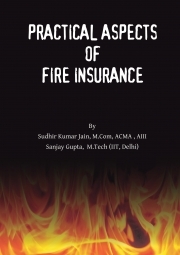 Reviews of "Practical Aspect of Fire Insurance"